The Meaders family may not have been the first to produce Southern stoneware, but its members were, and still are, among the most influential and imaginative contributors to the genre. Theirs is a pottery-making story of happenstance. Before the commercial availability of containers made of tin and glass, or the luxurious invention of refrigeration, 19th- and 20th-century potters created valuable vessels for carrying and containing perishables and goods. Anytime a region’s soil was found to be dense with clay, the area would soon become the site of pottery operations. White County, Georgia, was just such a place. It’s reported that at one point during the 20th century, Mossy Creek, located in southern White County, boasted nearly 100 potters among its residents. Included within those numbers was John Milton Meaders, who founded Meaders Pottery in 1892-93. Various historical accounts indicate the Meaders family turned to potting to augment the income they generated as farmers. The elder Meaders viewed the new pursuit as a way for his six sons to learn a trade that could serve them for years. Apparently, that idea was well received, as five of his sons became potters, including Cheever Meaders. Between 1920 and 1967, Cheever ran Meaders Pottery. Following suit and learning the trade were Cheever’s sons Edwin, Cleater – who ran separate potteries – and Lanier, who carried on the operation of Meaders Pottery. If Lanier’s name sounds familiar, it may be due to the popularity of his unique face jugs. To learn more about this family of potters, their influence and insights about collecting Meaders stoneware, we turn to John Coker, the principal of John Coker Ltd., an auction house located in eastern Tennessee that has been in operation since 1971. 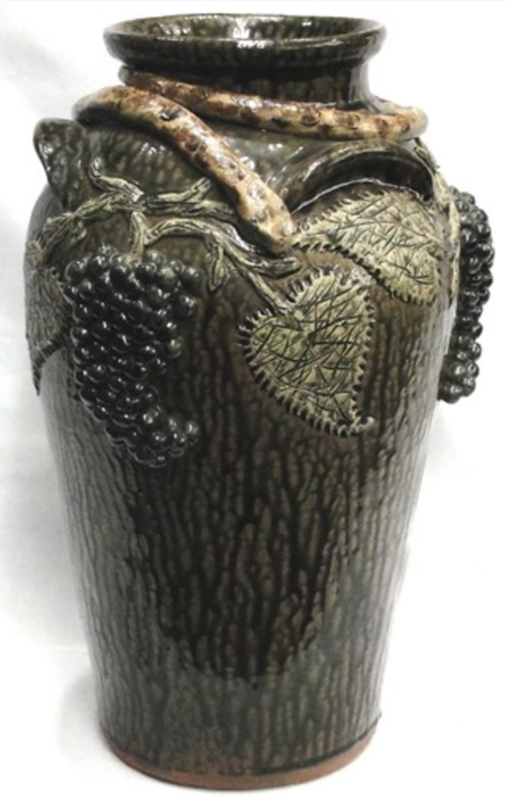 Coker has auctioned fine examples of Southern stoneware on numerous occasions. Are there pottery-making techniques in the Meaders family lineage that stand out for their unique, efficient or progressive characteristics? 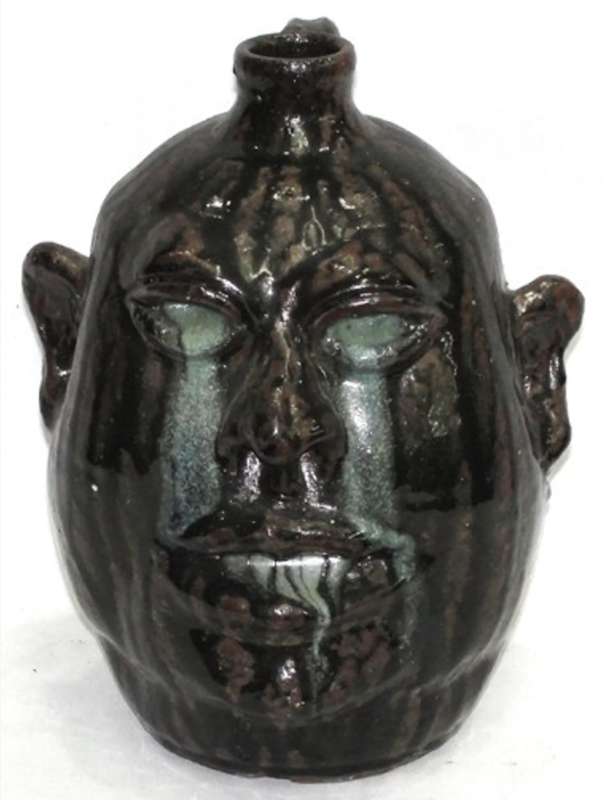 While the Meaderses’ pieces are unique, other makers produce close replicas of face jugs and other creations that originated with the extended Meaders family. Keep in mind that like any business, the customer usually gets what he or she wants. If the need was for a churn, large jug, butter crock or canning crock, the Meaderses, like any other potters, made what was salable. 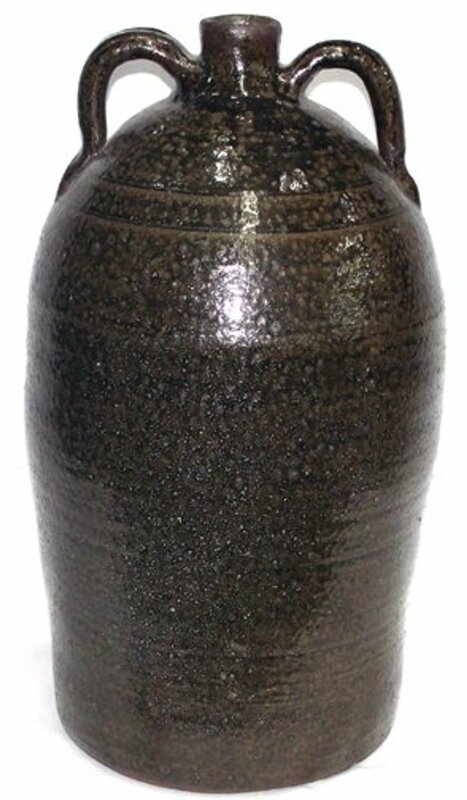 Usually, such utilitarian pots were plain, but the glaze usually tells a collector it is a Meaders piece. After Cheever passed away, some modern methods of turning were employed, as in replacing a mule with a small turning motor for the wheel, but basically, not much changed from the creative standpoint. It seems early examples of work by the Meaders family were at the forefront of studies of American folk art and life. How do you think the Meaderses’ contributions helped shape Southern folk art and 20th-century pottery? Many of the regional potters from western North Carolina, northern Georgia, and eastern Tennessee studied and purchased Meaders family face jugs to see how they were made – what colors were used for glazes, how the eyes were formed, the way broken porcelain ‘teeth’ were inserted, the ways that cigars or tobacco products were used, and the methods by which warts and facial deformities were represented. Also, it was about seeing how the jugs or pots were formed, and from what angle they were made to be viewed. I have seen collections that began with pots made by Lanier’s parents (Cheever and Arie) with a progression through the cousins, as well as other regional makers who were adept at copying the style and adding quirks of their own. Having seen numerous collections where the owners personally met Lanier and his mother, it seems many felt a connection to the Meaders family. Over the years they’d choose to stay in touch with them, as well as acquiring different pots when they found something different enough from what was already in their collection. Are face jugs the most desirable Meaders’ items? 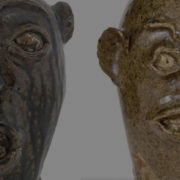 The Meaderses were adaptable craftsmen, but the face jugs were probably the best-known and most collected pieces they made. Part of their creations were face jug mugs or big cups with handles, as well as whimsical pieces. These creations include the only [example] of a human head made as a bust but not a jug. It had a large open mouth with broken teeth, a cut on the face sewn up with stitches, bulging eyes, grotesque ears and a glaze that almost looked like something that had crawled out of a grave. 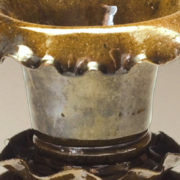 The Meader potters were capable of making utilitarian objects, and this specifically included candle holders with a large drip area and a loop handle. Mrs. Meaders also made jelly, jam or sugar bowls, most with lids, that collectors both use and love. 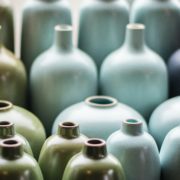 The glazed surfaces of these containers are unusual and arresting in appearance. Many have a grainy or slightly rough exterior. They are by no means pretty. Some of the Meaderses’ large pots, crocks or urns are knee-high and above, but these are not normal or usual by any means. They also made milk or beverage pitchers that were somewhere between one-quarter and one-half-gallon capacity. The palette of the glaze on these was close to, if not the same as, the surfaces of the face jugs, but not necessarily made as a match. 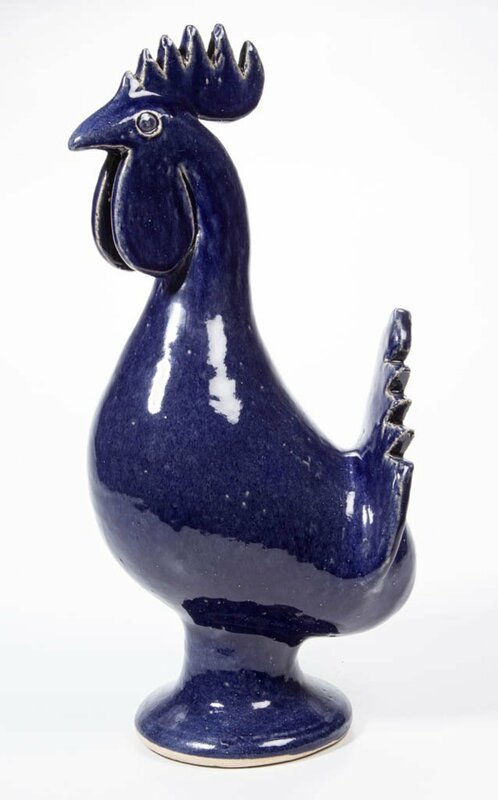 How would you describe today’s market for Southern art pottery? Specifically Meaders-made? This is a market that seems to be consistently going up, with the more unusual pieces bringing larger amounts of money. 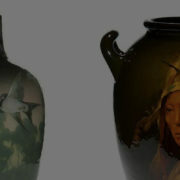 Lanier is, of course, the choice of most collectors but his father, Cheever, and mother, Arie, as well as his grandfather, John, are collected; with John being the originator of the face jugs in the family. Some of the Dorsey and Craven families of White County, Georgia, made similar pieces that are on occasion confused with Meaders pieces but are older. 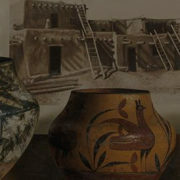 In addition, the older Brown and J.B. Owens Pottery pieces from North Carolina are close to the Meaders pieces. 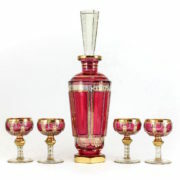 At auction today, you can expect that the Lanier pieces will generally do better than any of the other makers, but there is an adage among collectors that “odd or weird will always trump good any day.” The pieces that collectors love and are most attracted to are the highly unusual pieces that they have never seen and know they are likely never to see again. Hence, one of the reasons for their strong prices in today’s market. What advice do you have for people interested in acquiring Meaders pottery? 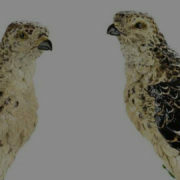 What insights do you have for helping people authenticate Meaders pottery? The Smithsonian produced a film, “The Meaders Family: North Georgia Potters,” as the inaugural film in its Smithsonian Folklife Study. A DVD of the film is available through the Smithsonian. 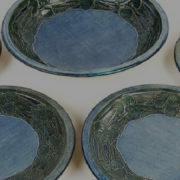 Plus, there is a collection of Meaders Pottery displayed at the Folk Pottery Museum of Northeast Georgia. Finally, as Coker stated, time spent studying and becoming familiar with Meaders pottery by attending auctions are helpful would be most helpful in learning more about the South’s most celebrated family of stoneware artisans.